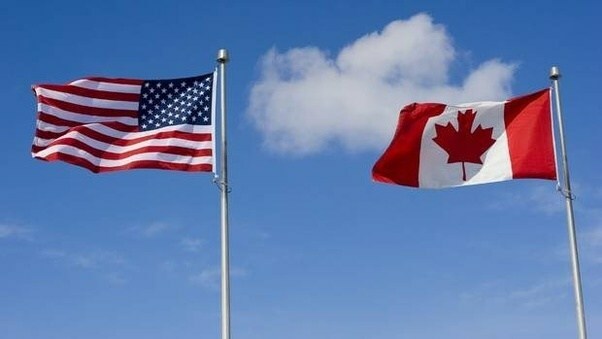 Canada or United States- Which is best for immigration? In the past decade, every time when people spoke about relocation- especially Information technology professionals, the choice was either Canada or the United States of America. Since these were the only two most competitive countries which have flourished in the Information Technology world within a limited period of time, picking the better of the two was difficult. Whether be the introduction of innovative IT concepts, the emergence of IT co-operations of jobs for IT professionals- Canada & the United States of America have never disheartened candidates looking for growth & aspiration in their IT career. Both the nations were well known to invite millions of IT professionals each year to live & work in these nations. But, with recent changes made to Canada Express Entry System and Presidency of United States- things have affected both Canadian Immigration as well as the numbers of professionals choosing to live and work in the United States of America. While the Canadian immigration changes had a positive impact on the candidates, United States is no more the first preference for IT professionals. One of the major changes that have disturbed the entire US market and at the same time has created a fear among the immigrant crowd is the recent restriction to H1B visas. The US President Donald Trump put a ban on the entry of travelers from Muslim nations and also has imposed certain restrictions on employers on hiring workers from outside on H1B visas. And, how did this impact the IT professionals? Information technology professionals make up a large crowd of the US economy. The initiative with regards to the restrictions on the H1B visas was to retain the American IT jobs for the Americans. While this came in as a boon to the IT professionals who are citizens of the United States, Indian professionals and the one’s working for US economy on H1B have experienced a rage of fear. The impact of this restriction was beyond limitations- many employers fired H1B visa holders, some of them were denied entry at the airport fearing the restrictions and many of them also were forced to leave the United States. While there was all trauma and distress spread in the US economy, Canada was focused more on improving facilities for foreign professionals. The Canadian Government made vast changes to the Express Entry System- a platform used to invite eligible skilled workers for Canadian permanent residency. The Canada Express Entry improved its scoring system- the CRS requirement has reduced to a score never before, a large number of professional have received their ITA, and provinces are opening with a high demand for IT professionals. It is believed that the aging population and the lack of talented youth have forced the government to depend upon talent from foreign countries. And, for this very reason, Canada Express Entry has made these changes. Since the start of 2017, over 43,000 ITA’s have been issued to skilled professionals, among which a majority of them belong to the Information Technology sector. If you too want to know your chances for a career in IT, Canada our Experts can help you know your chances through a quick and simple evaluation. Contact our experts for further details.